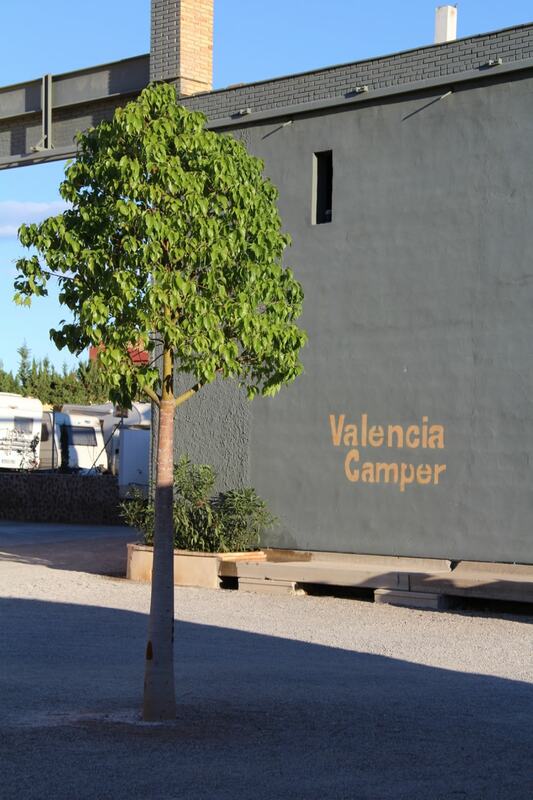 After 700+ days on the road across the UK and Europe we’ve found spots with idyllic coastal views, mountainous aspects or quiet riverside getaways… but Valencia Camper Park is the perfect example of a brilliant city centre campsite/aire. Having started Leg 7 of our European Roadtrip, we left England just before Halloween some 9 days ago… its been a busy journey south!! covering over 1600 miles to date in just over 38hrs in the driving seat!! 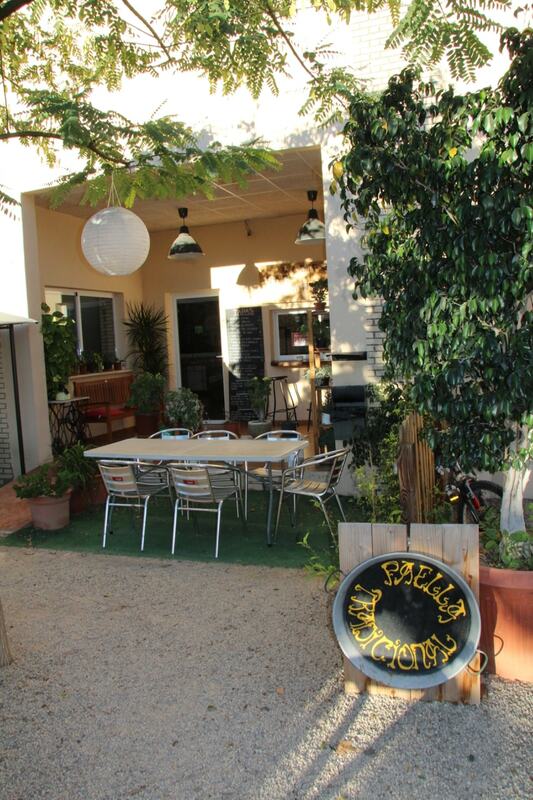 So as we reckon we’re due a rest… we’ve downed tools and are having a ‘work’n’play’ day at Valencia Camper Park. 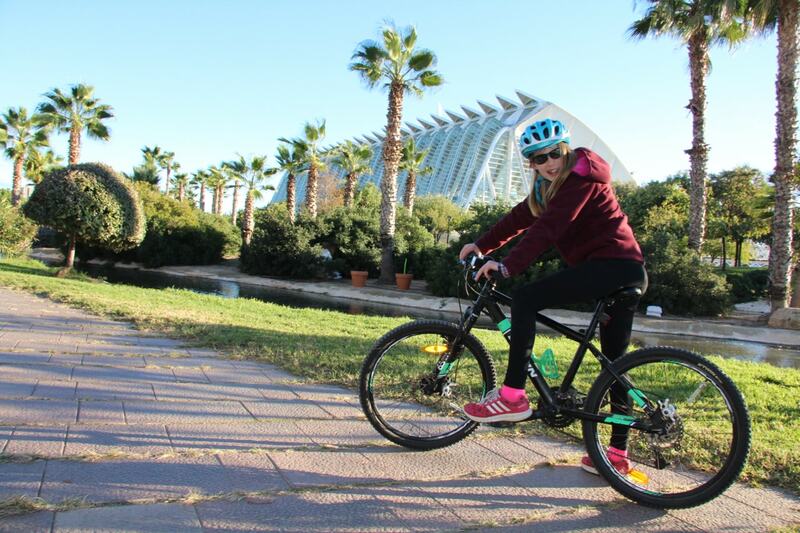 Especially after our busy afternoon biking the Garden of Turia the day before…. 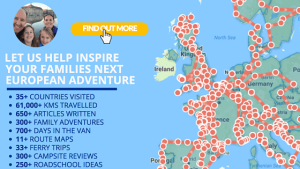 As ever you can use our ‘Scribble Maps‘ to see which roads we’ve taken and on our earlier journeys, you can see interactive maps with each blog post attached to the map – see here We’ve also tried to extend these and make it clearer for each country so you should be able to see country specific pages for you to enjoy! So for those that love a decent ‘city tripping’ aire/campsite… you’ll love both heading into Valencia and staying on this site… it’s quiet and handily placed to grab the 25min train journey into Valencia (a 5mins walk to station)… has it’s own swimming pool (summer only), restaurant and free wifi across the site… all the normal facilities and is ken to be green so recycling takes priority (thumbs up from us!).. 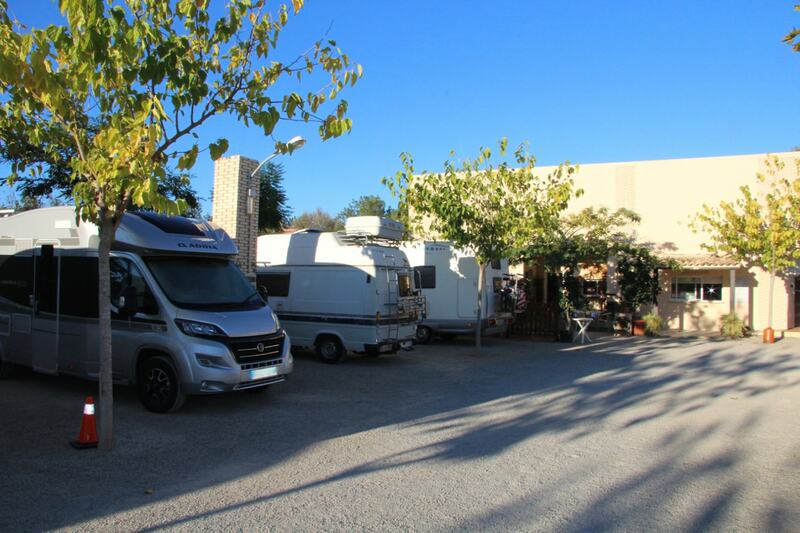 Is on the ACSI reduced discount card and easily undercuts other rival sites for normal price… Yep, we’d certainly recommend it for people wanting a quick’n’easy solution for visiting Valencia by motorhome! With the day ahead, we split it simply into 3 sections… FAMILY TIME which gives the girls the chance to do their own thing and we just tag along… Lottie often prefers to head into a book and is easily lost for hours there!! Libby prefers a more active approach that sees us all head off to explore the playground, site and chat with a great couple we met from Australia/Switzerland (never seen so many bikes on the back of a motorhome – 8!!! Yes 8!! Great effort guys and one was a motorbike too!) 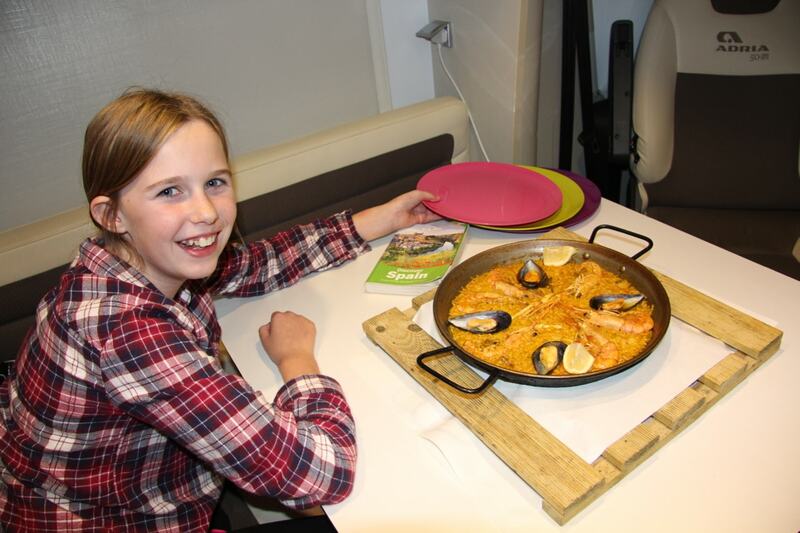 Catherine opted to finish off her work on the ‘Exploring France by Motorhome Ebook‘ whilst Richard spent time planning the route ahead into Andalusia and Portugal. F​inishing FAMILY TIME, we got on with some ROAD SCHOOLING… today’s English&Maths lessons were sped through in record time with Catherine/Lottie/Libby before handing over to Richard for a science lesson based around creating paper airplanes… lots of fun and laughter and a brilliant family paper airplane competition to finish the day!!ols. what’s an evening in the van like? The late afternoon / evening was given over to experimenting with EVENING FUN, both girls have been great all trip about trying new things (possibly Lottie might just edge her sister on this) but today was about trying paellain the home of paella (Valencia) … We’ve tried Tapas, Pintxo in Spain, Moules Frites in France or Haggis in Scotland… but they do love a healthy helping of Paella!!! 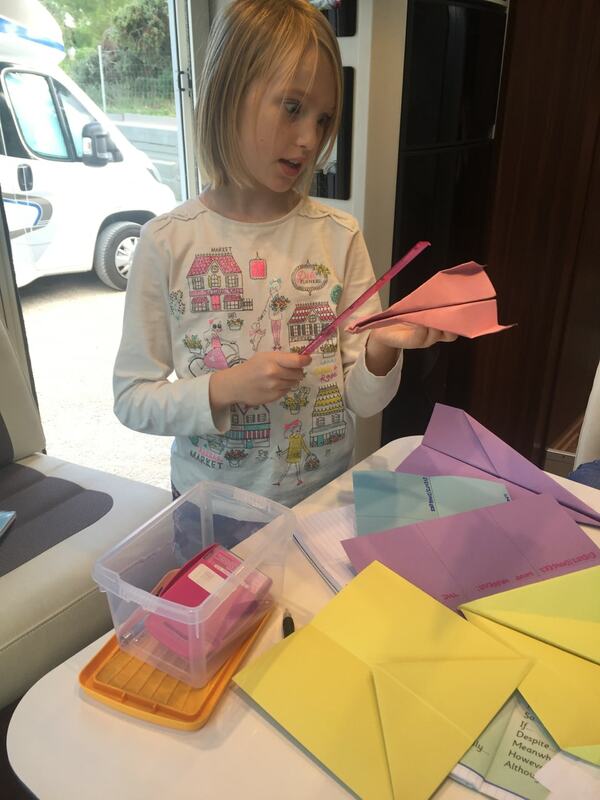 Challenging ourselves to roadschool/homeschool across Europe, we’ve leant that children love to take control of their own learning. Find out how? Moving from our everyday life to a once in a lifetime family adventure has given us the time together that everyday life was taking away. 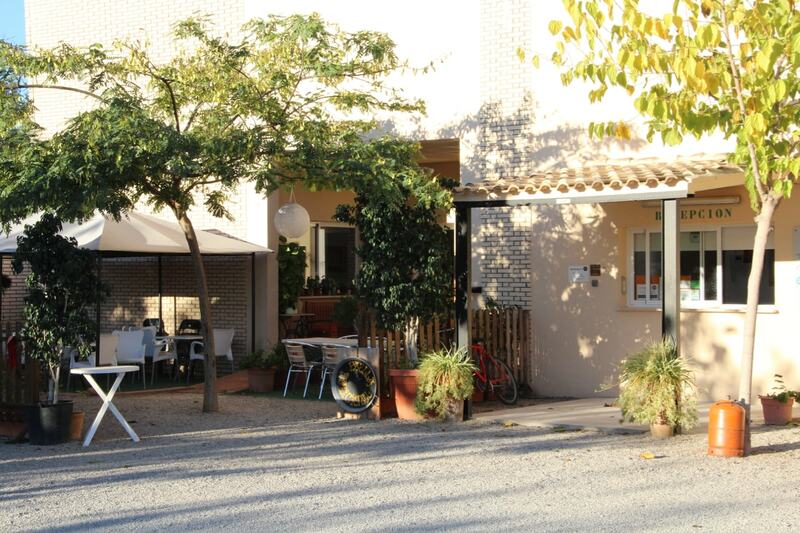 Perhaps your next adventure could start here… See where we stayed, what we visited and how much it all cost..?